Twas a crazy March break, but we enjoyed it. And in the words of Cheyenne "I get to be home with my family, Yah". Although we spent the better past of last week at the hospital for various appointments and such, we weren't able to get Cheyenne's bloodwork done again until Thursday. Her counts were high enough to proceed so they booked us in for Thursday evening admit. Because we have Cheyenne accessed in clinic during the day it makes for a pretty quick admit at night. We were in a room with Crystal for this admission again, however she was able to take an LOA from thursday afternoon until friday evening so I didn't get to see much of them. 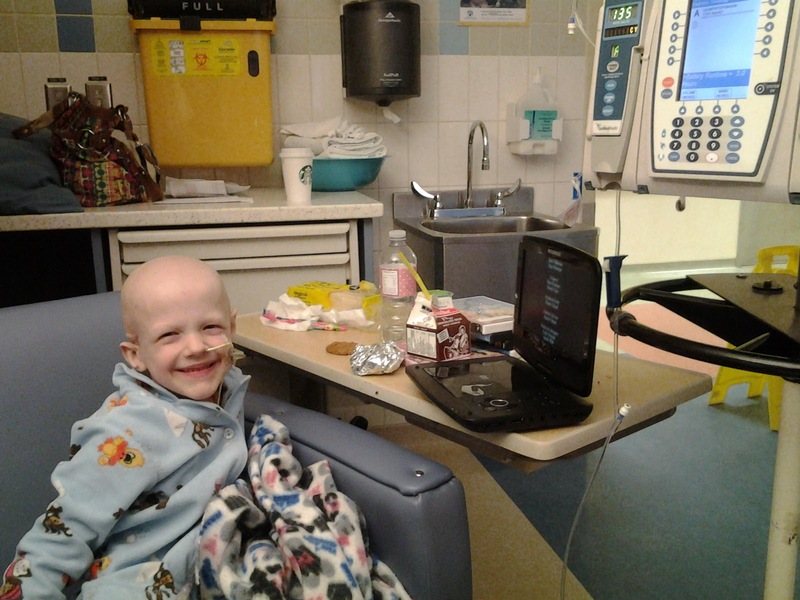 Chemo went fairly well, as usual Cheyenne was up and about and very busy. I had to go to the admitting office for a few minutes and came back to find she had gotten into the food bag, and she found the chocolate. She also evicted me from the chair and repositioned herself to that spot. It worked fine with me and I was able to read in her comfortable hospital bed . 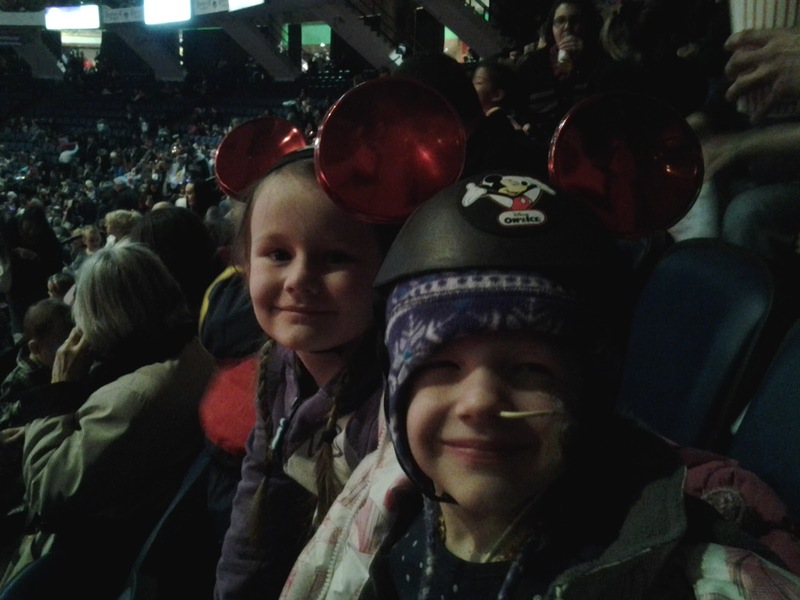 We were able to go to Disney on Ice with the kids, we took my neice Emily in place of Cassidy. Many thanks to the nurses who helped to arrange this and got us all set to go. Because she has to be hydrated so much after chemo to flush it from her system, I spent the majority of the time pushing fluids through her NG, and giving meds. The kids all enjoyed themselves and David survived the show! Yesterday the kids had their Sunday School Treat. This is their awards day for the previous year of Sunday School. The kids have memory work and/or songs that they have to sing. Wyatt did an excellent job, not quite sure why he struggles in school so much because he learned his and Cheyenne's verses. Cheyenne got nervous once she was up in front of everyone and said her verse hidden behind the others in her class. I am the teacher for the little class(2-3 year olds), and 3/4 fell asleep during the speaker so it ended up with me doing a solo, Brielle standing up with the microphone and performing, Spencer and Titus were half awake looking out at the audience, and Hannah slept through it all. Cute none the less. Today we are heading back to MacMaster for an appointment with the opthamologist to look at her eyes. The doctors aren't sure of the cause of her eye's wondering and seeing as they cant say for sure if it is med related I would feel better getting it checked out. 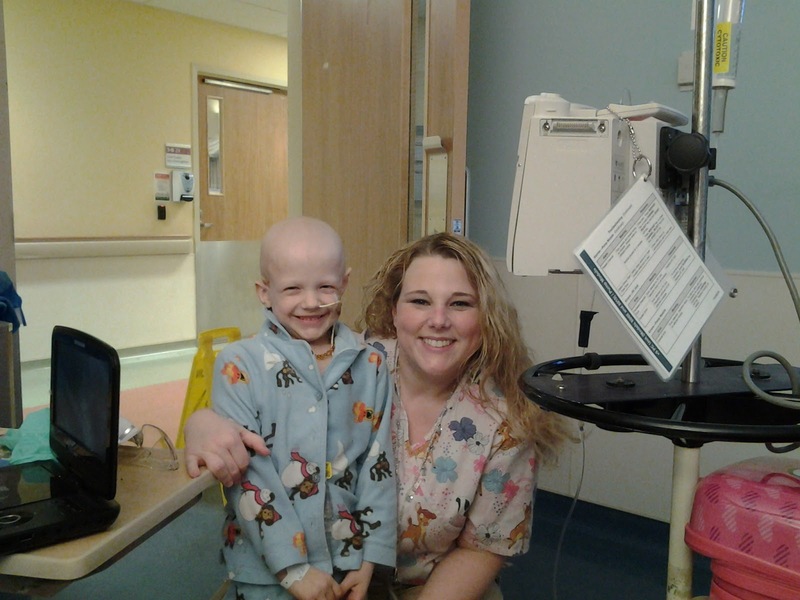 Tomorrow we will be heading back for a clinic appointment, fingerpoke and she is scheduled for a sedated CT. Even though there is a good chance we will do it without the sedation, she has to be prepared(NPO-FASTING), and accessed so they can give her constrast through the port. This way if she is unable to lie still they will just sedate her but we are praying she hasn't forgot how to lie still since the radiation and her last CT. Her MRI is next thursday and it will be under sedation. It takes about an hour to get a scan of the head and neck. That along with the fact thhat the machine lets off a continuous loud noise, she would never stay still, lt alone in the same room. Please pray for us as we complete these scans over the next weeks. Because this is her scan round it means she only received 2 chemos on friday, and wont be getting her vincristine weekly for the next 2 weeks.